Anyone who goes ahead and updates their iPad to iOS 11 will notice a big change—a welcome one, if you ask me—to the app dock at the bottom of the home screen. No longer just a shaded area for your six favorite apps, the new iOS 11 iPad dock looks and acts a lot more like the dock on a MacBook or an iMac. 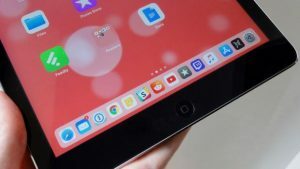 Indeed, not only can the revamped iPad dock hold more apps, you can also summon it almost any time you want, even when you’re not on your iPad’s home screen. 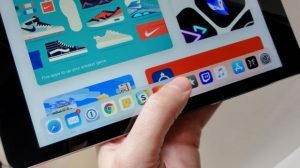 Note: Before we dive into the nitty-gritty about the new iPad dock, I should pause and mention (as I do every year around this time) that you’d be well advised to wait a bit—say, a week or so—before taking the leap to iOS 11. You’ll find many of the standard reasons in this post from a few years back, but this time around, there’s another pressing issue: a whole crop of older apps simply won’t work on iOS 11. Luckily, you can see a list of installed apps that won’t play nice with iOS 11 before you upgrade; to do so, tap Settings, General, About, then Applications. While the old iPad dock was only visible on the home screen, the new dock can be called up anytime, even within an app. You can reveal the new iOS 11 iPad dock at any time—even within an app—by flicking up from the bottom of the screen. Just flick up from the top of the iPad’s display; when you do, the dock will spring into view. Go ahead and tap an app to open it. If you swipe up from the bottom of the screen and keep on swiping, you’ll reveal the new Control Center and a grid displaying all your open apps; just tap an app to open it, or drag it off the screen to close it. The old iPad app only held six app icons at a time; the new iPad dock for iOS 11, on the other hand, can cram in up to 14, including a couple of “suggested and recent” apps on the right side of the dock. You can now add up to 14 apps to the new iPad dock in iOS 11. The procedure for adding and removing apps to and from the iPad dock remains the same: just go to the home screen, then drag an icon in or pull one out. If you like, you can disable the section of the dock reserved for “Suggested and Recent Apps.” To do so, tap Settings, General, Multitasking & Dock, then switch off the “Show Suggested and Recent Apps” setting. Bonus tip: Wondering why the iPad’s app icons no longer shake when you tap and hold them? This surprised me too, but it turns out you simply need to hold an icon a beat longer than before. When you do, all the icons on the home screen will shake just like they used to, allowing you to rearrange your rows of home screen icons or tap the little “x” to delete an app. 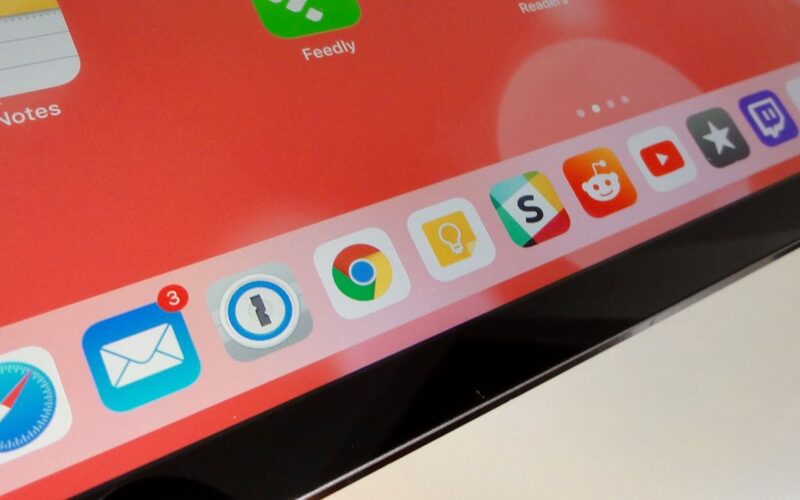 If you’re working in an iPad app and you want to open a second app side-by-side with the first one, just flick up from the bottom of the screen to reveal the iPad dock, tap and hold an app icon, then drag it onto the screen. You can use two iPad apps side-by-side by dragging an app out of the new iPad dock. 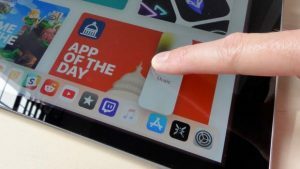 Those with newer iPads (such as the iPad Pro, the fifth-generation iPad, the iPad Air 2, or the iPad Mini) can use this trick to trigger Split View, an iOS feature that lets you use two iOS apps on the same screen. If you have an older iPad (like the iPad Air or the iPad Mini 2), you can still do a little multitasking with Slide Over, which lets you peek at a second app in a thin overlay.